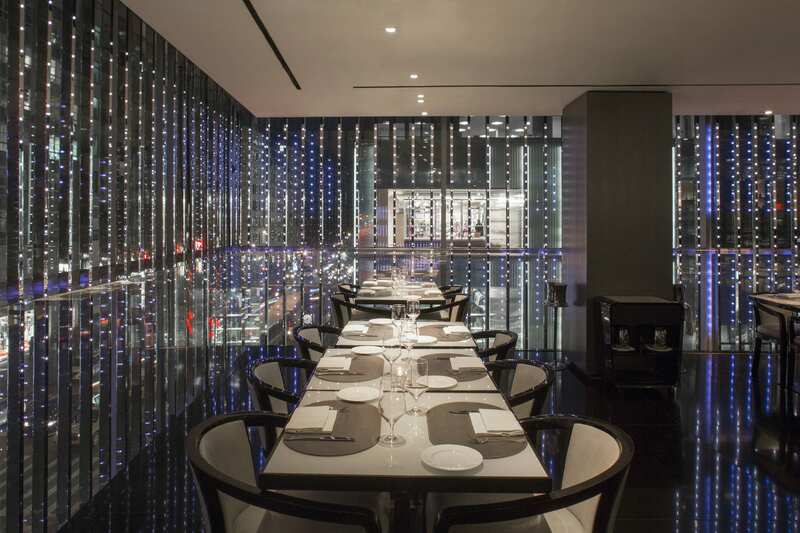 Mr. Armani, tell us about the Armani Ristorante Fifth Avenue, inside your New York flagship store. GIORGIO ARMANI: I thought it would be an exciting challenge to open a restaurant that features contemporary design combined with fine Italian taste in the very heart of Manhattan. Armani Ristorante is on the top floor of my concept store, Armani Fifth Avenue, and offers great views of Fifth Avenue, with Central Park in the background. I wanted it to be both a stopping-off point after a long day of shopping, offering an elegant and relaxed atmosphere, and an independent venue where people can go and enjoy exclusive dishes, impeccable service, and a unique, sophisticated setting. Did you always wish to open a restaurant? And how did your gastronomic journey begin? GA: I always wanted the Armani brand to become the expression of an idea of style as a lifestyle; sophisticated simplicity as a sign of elegance in every area, and food, which is one of the most important elements of everyday life, could not be left out of this. In my career I have always looked at what was happening around me, and I developed my ideas and my plans accordingly. The intention has always been to create something truly contemporary. When I realized that the world of haute cuisine could become something increasingly interesting, even in difficult times, I decided to propose my own personal vision. And that’s exactly what I did, choosing innovative cuisine that marries with traditional Italian food, which I like, and which I proudly support. With a love for the Italian cuisine, why bring fashion and food together as an incubator for luxury? GA: I believe that fashion and food are both examples of Italian excellence. It seemed only natural to bring them together in one setting, in a sort of incubator of luxury that includes elements from different worlds, united by the high level of quality and a shared vision. Over the years I wanted to offer my public an Armani lifestyle, that would begin with clothing and grow, over time, to encompass every area of daily life, from décor to the restaurant world. 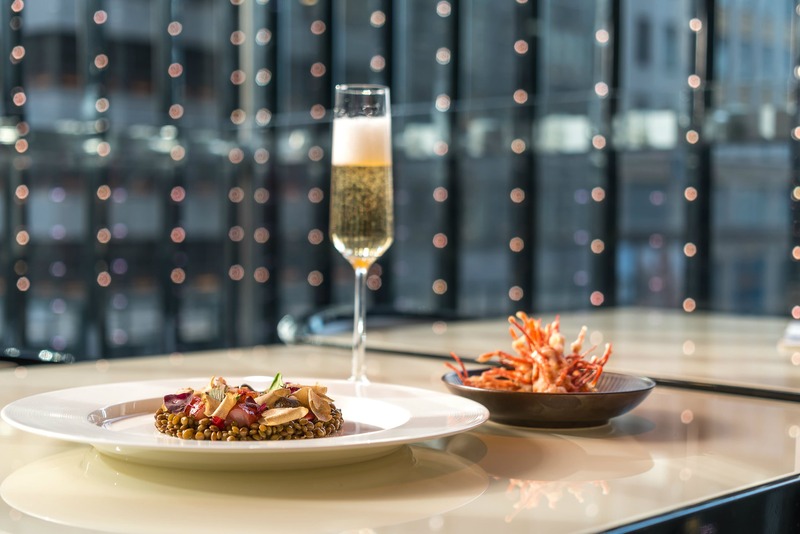 This New Year’s Eve, Armani Ristorante is offering an exclusive evening complete with caviar and truffle-accented courses, as well as dishes that traditionally bring good luck for the New Year. What Armani pieces do you recommend guests to wear for the evening? GA: For festive occasions I prefer quiet elegance and understated style. This is why this year I thought about putting together a small collection of elegant outfits, for both men and women that would be perfect for the festivities. The capsule collection that I have named "Giorgio's" is inspired by the world and the atmosphere of the members-only evening that takes place on Thursdays at the Armani/Privé Club in Milan. The pieces are sophisticated, precious yet simple: the epitome of Giorgio Armani style. 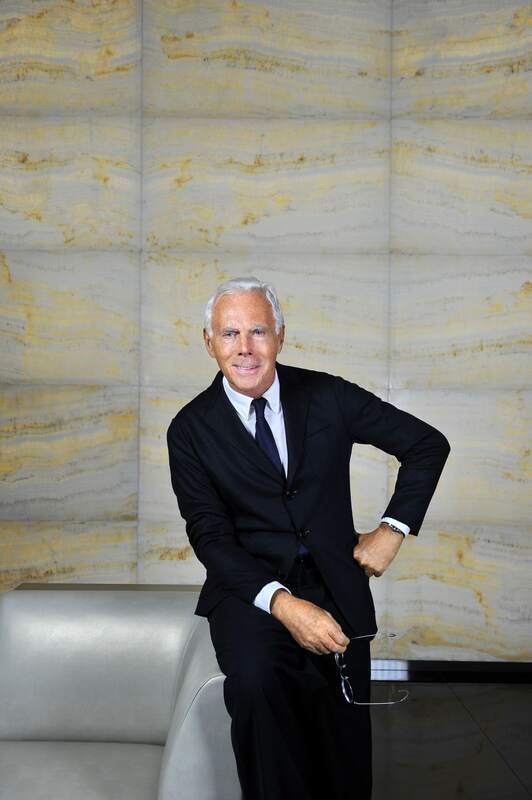 Mr. Armani, it’s been almost 10 years since the inception of your Fifth Avenue store and restaurant. With this celebratory anniversary near, what are your thoughts? GA: Opening Armani Fifth Avenue, almost ten years ago, was such an exciting challenge. It might have seemed risky at that time, to envisage a concept store that would gather together under the same roof different businesses, but I think that this free approach was perfect for representing what for me was, and still is, the spirit of Fifth Avenue: an important destination for shopping, aimed at a diverse customer target. After ten years I can say I'm pleased with this choice.